This article is presented to you by LaptopLogic.com. Go there to read the latest info on the top rated laptops and the best laptop accessories. The High Definition (HD) content is everywhere these days, from HD and Blue Ray Discs to streaming HD media. 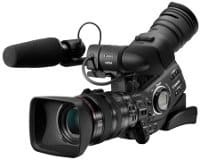 Although HD content gives best picture quality, it also uses a lot of computational power to decode and play. 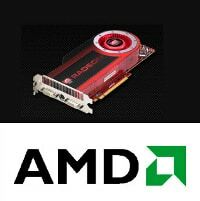 This was made easy for Windows by the introduction of new drivers from graphics card manufacturers, Nvidia and ATI, which allowed the whole media to be decoded on the dedicated graphics card, saving cost in computational power, and the need to have a stronger processor. 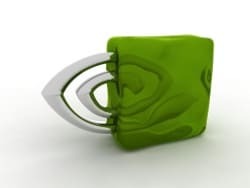 Nvidia recently released a new set of drivers for Linux supporting PureVideo technology for its line of graphics hardware, enabling full hardware HD-decoding, and giving smooth HD content playback, even on less powerful computers. The 180 series supports PureVideo decode acceleration. These drivers adds a new VDPAU API, which provides PureVideo like features on Linux, adds CUDA support, X Render optimizations, new workstation performance optimizations and some other improvements. The new versions offer optimizations and support for a wide range of Nvidia hardware, and is expected to improve with future releases. Linux uses X-Video (Xv) as output extensions, where as X-Video MotionCompensation (XvMC) is an X-Video extension which offers some video decoding on GPU. With the new drivers, Nvidia implements VDPAU (Video Decode and Presentation API for UNIX). VDAPU is capable of hardware acceleration and the decoding of MPEG-1, MPEG-2, VC-1 and H.264 bit streams. It also provides an API for post-processing of decoded video in order to apply operations such as noise reduction and temporal and spatial de-interlacing, timestamp-based presentation of final video frames, and compositing of sub-picture elements. AMD also supports hardware acceleration through X-Video Bit stream Acceleration or XvBA API. The recent drivers can take advantage of Unified Video Decoder (UVD2). CUDA support is also provided with 180 series drivers for Linux, and it can also be used to accelerate videos, and also to do any processing involved, like CoreAVC 1.9.0 is the first media player to offer this decoding. The video acceleration on Linux came late, but certainly, with these new advancements by Graphics chips manufacturers, Linux users will be able to experience HD media playback, even on less powerful systems.